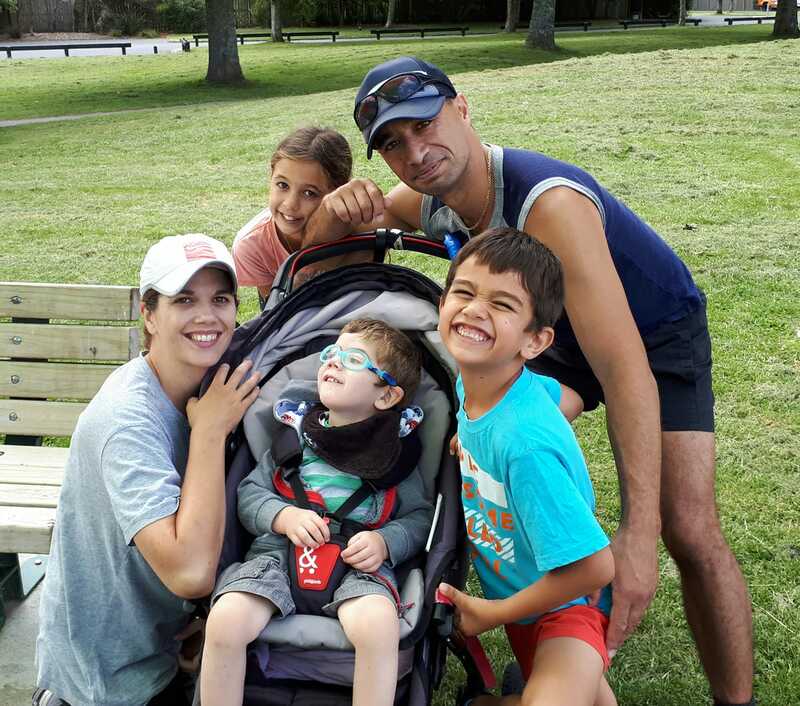 In a bid to raise $56,000 to pay for their three-year-old son’s therapy, two parents from the New Zealand Defence Force (NZDF), Tane and Laura North, are about to embark on a 700km hikoi from Wellington to Auckland. Elijah, also known as WonderBoy, was born with microcephaly, a medical condition in which the brain does not develop properly, resulting in a smaller than normal head. He also has an undiagnosed genetic condition affecting most of his body so he cannot speak, is legally blind, fed through a tube and has a total of 14 health issues. His father, Captain Tane North says the whānau are raising funds for Elijah to get therapy at the Neurological and Physical Abilitation Centre in Sydney, Australia. “Because we don’t really have anything in New Zealand quite like the three-week intensive programme that he receives over there,” says Tane. Elijah has received treatment at the centre four times already. 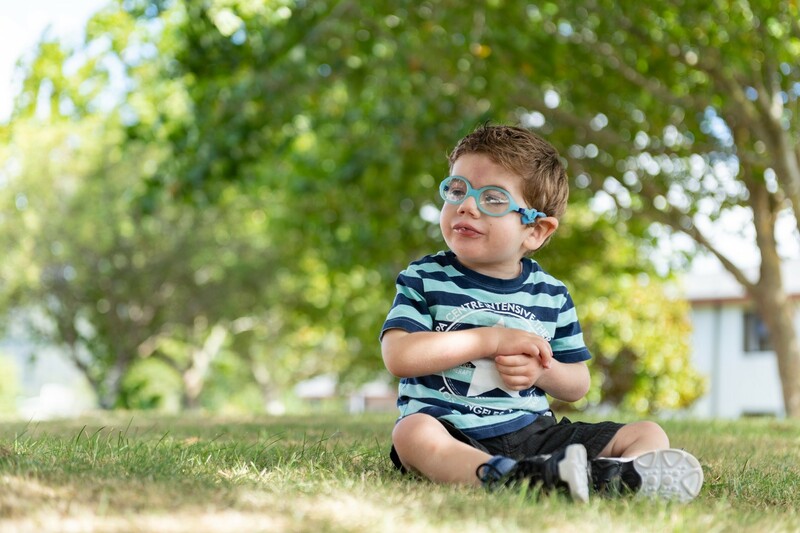 “This time we're back again trying to raise more funds to get him over there a few more times; $56,000, which will be enough to get him there four more times over two years,” says Tane, who so far has raised just over $8,000 on a givealittle page. During the sessions, Elijah receives physiotherapy, speech and language therapy. Tane says since Elijah has been visiting the centre he’s grown stronger, is more mobile, more attentive and his hearing is “supersonic” because he’s had to use his other senses to make up for his bad vision. “We call him Wonderboy because he’s so wonderful and amazing," says Tane. The 11 day walk, dubbed #walkforwonderboy will leave Wellington on March 13 with volunteers taking part from Pukeahu National War Memorial Park, including Wellington mayor Justin Lester and Chief of Army Major General John Boswell. Laura and Tane, who have four children in total, will walk up to 80km a day, broken into four blocks that they’ll alternate. Laura will take the starting leg each day, once she has Elijah and their 8-month-old Thea sorted for the day. That’s easier said than done, given Elijah’s specific needs and the fact that Thea has Down syndrome. Some of the North whānau. Source: Facebook. The halfway point will be in Waiouru where the NZDF community will be able to get involved. Since the 62km through Desert Road is too dangerous to walk, the Army Museum in Waiouru will have treadmills set up where members of the public can come along and contribute to walking the distance. The group will arrive at the Auckland War Memorial Museum on March 23. Donations can be made to Elijah’s therapy at givealittle.co.nz.